Stag Do‘s are now a big milestone in the road to getting married. With so many different activities available for stag do‘s it can be difficult to find the right one for your party. We have picked our top 5 alternative stag do experiences for those looking to do something a bit different but still have a truly memorable time. If your looking for a Bear Grillsesque stag do experience then a day of gorge scrambling is for you. The activities that you do depend on the company that take you out but expect waterfall jumping and climbing, rock climbing, boulder hopping, cave exploring and raging rapids. It is a physically demanding day out so ensure that all the lads are up for the challenge before you book, but once you are out in the wilderness it’s amazing fun and a great team building and bonding activity. Derived from snowboarding, this off-road activity will see you riding down dirt tracks and grassy hills strapped to a plank of wood on wheels. With popularity growing, mountain boarding centres are springing up all over the place and although it takes a bit of getting used to, once you have the hang it gets very addictive. A great stag do experience if you are looking at trying something new and are keen to see your friends falling left right and centre! Underground Zip lining courses are a great activity, and have the added benefit of being inside so it can be done whatever the weather. 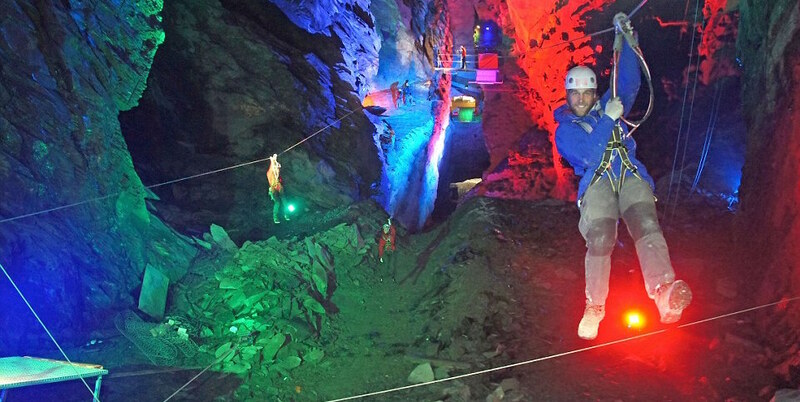 Usually held in caverns and caves these courses have an underground maze that you must make your way though with zip lines, rope bridges, tunnels and obstacles. The darkness of the caverns give the experience an eerie feel and gets your heart racing as you traverse the course. Goggle football is essentially a game of football but all players must wear goggles whilst on the pitch. A new activity that has been gaining popularity amongst stag do and team building experiences, the goggles disorientate the players which can often result in some hilarious football. Take a look at the video to see what we mean! 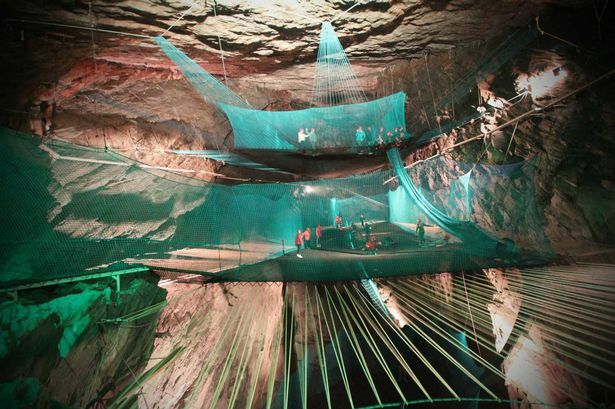 This year saw the first cave trampolining centre open in Wales, the centre is made up of a number of giant trampolines suspended underground covered in nettling. Imagine a giant underground bouncy castle for adults, if you are after a completely new experience then this place is worth checking out. This centre has gained a tremendous amount of popularity and we are sure to see more opening now that the first one has been a success. If you are in charge of a stag do and liked the look of any of these amazing activities, or if you are planning something completely different then head over to Shareagift and create a stag do collection page today to ensure that everyone gets their money in on time. Shareagift provides you with an easy to use platform to collect money online for anything from stag do collections to wedding gift list pages, honeymoon funds and charitable collections. If you are involved in wedding planning then head over to our website and see how we can make your life a whole lot easier. Previous PostSand, Sea, Surf, Sun and Shareagift! Next PostTop 5 Incredibly Random Pubs You Must Try In New York!